Polyclef - The fall of a role model! We all have our heroes, our role models, people (or organisations) we look up to. They motivate us, they give us that push. They tell us, "If I can do it, so can you!" What happens then, when a hero falls? A role model crashes right in front of you? Lets have a look at what went wrong with Polyclef, and how we can avoid such a thing happening. Back in May 2011, I started on my journey on making money with Android. Of course, back then, as a start, I was hoping to make some pocket money. 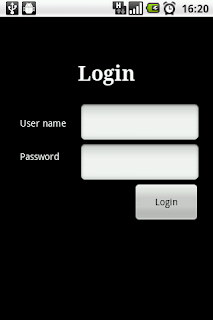 I posted my initial money making progress on the Basic4Android forum ( here ). You will notice, further down, I shared some other success stories too. One of them Polyclef. Polyclef was one of the motivation for me to achieve MORE from Android. I wanted to make a lot from my apps, just like they did. So I got out there and made the apps. The money grew, and right now, I'd say I've more than achieved the goal I set back then. Thanks Polyclef! So, what happened? Why did a business so beautifully growing fall? Where did it go wrong? It is sad really that they are that far down, and seriously, I do hope they pick up, and hope they will be back stronger than ever. I can't speak for Polyclef myself, but their fall does further highlight some of the advice I've been giving out on this blog and on the B4A forums (check out my adventures here). Lets see what we can do to avoid the same fall. I stopped following Polyclef's blog soon after my June or July earnings were in (the earnings were still below $400). That's because their blog had nothing interesting to read on really. I am not sure if Polyclef, as a company had grown big, but thier ambition grew. Maybe it was too big for their own good. According to their blog entry, a lot of effort went into making Save the Egg game, but it never took off. The payoff for the effort did not match up! I've highlighted here on this blog though, we as small time developers, should really stay small, make small simple apps and games. I am not sure how much effort really went into saving the egg, but working with physics and all can be tough. Reading Polyclef's post, it is quite obvious they are having a burnout. Making simpler apps would have helped them avoid the burnout. Your passion and motivation goes down the drain when all your effort yields nothing. I was worried when I released new apps the past couple of months, and got horrible first day downloads. But they grew over time. You need some patience, and you need some marketing skills (will write a post on this soon). You need to give your apps the exposure, your apps need some attraction, some magnet! This is one thing I can say I am proud of myself. I did not let the Just-In list missing bring me down. As I've written previously, I am making a whole lot more now from my apps without the Just-In list. I do agree with Polyclef though, the Just-In list could be further improved. Maybe we don't need Just-In lists. What about allowing users to sort apps by name, by developer name, by updated date? These are features available on the itunes I believe (read it somewhere). Be flexible. Google will always make changes to the market and even its search logic. We need to be able to fit into it. Otherwise we will drown out! Even though Polyclef mentioned that they used social media and cross promotion, it failed for them. I am not sure how they did it, but probably they did not get it right. If I am right, @PolyclefApp has lilke 100 followers on twitter. This is TERRIBLY low! This is not how social media marketing is going to work for you. Also, this is a personal taste thing, but I think the game fails with it's icon and images / graphic. They don't match up to the effort put into the game. The egg icon looks very amateurish. Their game title is also another matter. App titles carry a VERY high weight in searches on the Android Market, and nobody is gonna be searching for egg saving games. Remember, first impressions matter, app names matter, reaching out matters! Well, many of my apps started off with low downloads. I've made much effort in getting them out there, and some have shown much progress. My Simple List TODO app, surprisingly is growing beautifully. It was developed in a very short time, like about 1 hour development + launcing time. The app has generated me a grand total of $0, as I have not added in any ads at all! Not just yet, and maybe never. Let it grow, let me improve it's look and feel (I will not be adding features to it, as it is clear, many people want just a simple to-do list, I might make a more advance version though). The todo app, it is really an example of how things can improve. It had less than 10 downloads on day one. But now it is growing at 80 - 100 downloads per day and growing! In fact, AppBrain report shows 105 downloads yesterday and 167 active users yesterday. The same trends too are prevalent in my other apps. But that, is for another post! To Polyclef, I hope you will pick yourself up and grow back in the right direction! I really wish you best of luck! I have gather lots of new information about how you can make money by displaying the ads on the android mobile user. Also other interesting fact make your comment well guider to any beginners. Thanks for dropping by. I'm just sharing what I've learnt from my own experiences, glad that the info shared will be of much help to others too! Hi Bill, my lastest app got over 12.000 downloads since January, almost from my country. I think we, small developers, should focus on small market. There're many people can't speak English, why we don't make apps for them? I mean the basic apps like Horoscope, Bible, Weather, Currency Exchange... When you publish, your app will be listed in your country's ranking list. It's like Just In list. What an awesome idea. I've never thought of it that way! Thanks for sharing the tip. Just a small warning especially if you are using admob. Majority of your ad clicks will be from one country, running a risk of admob banning your account... just be careful! Yes, AdMob is a rigid ad network. They banned my account without a detailed reason. I can't log in to backup data or to study what I'm wrong. They just shut their door in front of my face. This is one of the appreciable post.I like your blog tips.This is one of the user-friendly post.thanks for share with us.